First published in 1905, The Varieties of Religious Experience is a collection of lectures given at the University of Edinburgh in 1901 and 1902. William James was a psychologist and, as such, his interest in religion was not that of a theologian but of a scientist. In these 20 lectures, he discusses the nature and origin of religious belief. So good! I'll have to buy a hard copy to read in absorb it more. This series of lectures in the parlance of today can really be called, "Varieties of Spiritual Experiences". James' use of language is very stilted and formal by today's standard. This distracted from my listening as James seems to get lost in language and verbosity. I found myself often saying, " simplify, please get to the point". This being said, it is a deep, expressive and thoughtful book, by a sincere and sensitive man of deep intellect. A pedagogue at heart, his desire to take the reader/listener thru his thought process and personal seeking is sincere and enlightening. John Pruden's reading is superb and showed his interest in James' work and never once did I get the feeling he was slogging thru a performance. Kudos to him. This is not a one time book to listen to (or read) but to be reviewed and thought about over time with several (and patient) reviews. One's spiritual insight will be well rewarded. God **ahem** bless William James. The amazing thing about James is he can write with precision and humility about something so completely intrinsic and fraught with pit falls. Most writers run at the subject with some large bias of the mystical, the . You have thousand of books written every year proclaiming their strain of Christianity, Judaism, Vegetarianism, Atheism, Mormonism, Buddhism, as being the only true and living way to view the divine AND the only mirror to view and judge ourselves. James is different. He artfully and carefully presents a measured approach to religion. He picks it apart with affection. He looks at it normatively and then he tries to look at each speck and piece through a value lens. I believe the magic of this book is James isn't selling a belief. He isn't pimping a lifestyle. He is just curious and very very smart. And it isn't a clinical curiosity either (although his precision could be called clinical). It is a joyful curiosity. A drive to discover how we work and what really makes us tick. He wants to know and explain his hypothesis. God **ahem** bless William James. 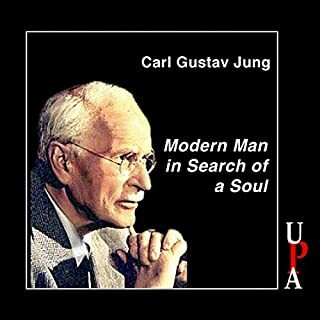 He wasn't just describing the transcendental condition of mankind, he was establishing and building a framework for others to follow for over 100 years. 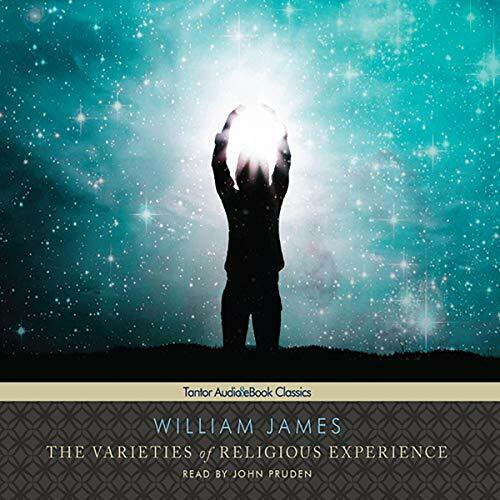 This book contains lectures given by William James in Scotland in which he examines diverse religious experiences in search of their meaning. The lectures formed a systematic work and are written in a clear way. James’s conception of pragmatism - the emphasis in the experimental method and the idea of meaning that dismiss hard/dogmatic truth - influences the exposition. The lectures deal with many personal expositions of religious experiences - the ways in which they are exposed and their meanings for each and everyone involved. James gives his analysis of these various episodes and tries to elaborate a grand narrative. In search of understanding, one finds tolerance toward the diverse religious attitudes. 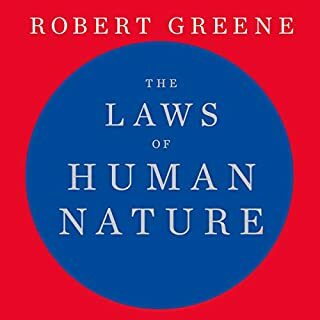 A book worth reading (listening). This is a book I will undoubtedly come back to over and over throughout my life. I loved his scientific treatment of the subject and loved his willingness to admit what we just don't know. 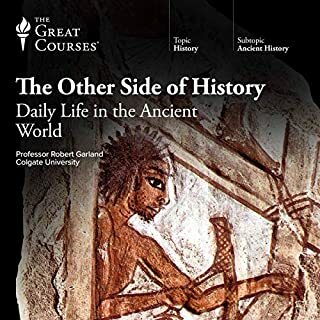 It has been very hard to listen to this (long) book until the end. It requires a quite advanced understanding of philosophy already (which I was not familiar with, unfortunately). Additionally, the collection of these religious experiences was boring to listen to at time (too often it was the same experience again and again). The book might be interesting for scholars, but it is definitely too high level for the average reader I think I am! Testimonials belong inside a comic book and offer nothing but anecdotal curiosities for those who already believe without sufficient reason or for those who like to pretend to know things they don’t really know. This is clearly one of the worst books I’ve ever read and I can’t believe that I had such high esteem for the author before having read this. 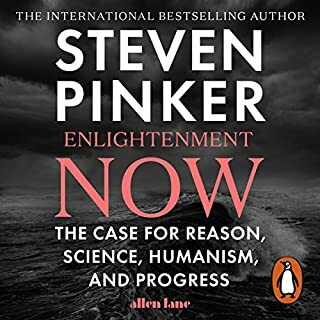 The book is an incredibly dangerous approach to understanding a topic. Over a hundred different case studies of personal experiences are mentioned in detail with all of them dealing with an individual’s devotional, sacramental, or mortification relationship to the divine. All of the stories are about the individuals feelings arising from intense sensations from within the individual. Feelings are not things (I don’t usually shout, but I’m going to for the sake of emphasis: FEELINGS ARE NOT THINGS!). All of the various testimonials concerning peoples feeling excruciatingly detailed in this book add nothing to my understanding about the divine. Sufficient reasons for our beliefs proportional to the credulity of the statement under consideration are the only standard I’m currently aware of for determining my beliefs. Because something makes me feel good or helps me deal with the world or accept my live on this blue dot I inhabit is not a reason for believing in it. I do everything in my power to not believe in false things and to limit my beliefs to justified true beliefs. James does not understand Hegel to a first approximation when he characterizes him as a mystic. Hegel is not a mystic. There are two things that he could have learned from Hegel but clearly did not. The great hidden joke within Hegel is that he knows what Peter O’Toole in the ‘Ruling Class’ knew when asked by the reporter why did he think he was God, he responded ‘because I finally realized that when I was praying to the divine, I only heard myself’. All of the testimonials presented in this book suffer from not accepting that realization. Hegel also knows that humans differ from all other creatures because we have second order volition and only children and narcissist lack that capability. That segues into why this book is so flawed. Imagine, if I were to write a book on narcissists and their special abilities for their intuitive truths they possess, and I used James’ approach. I would have hundreds of testimonials from various people testifying to such statements as ‘I grab women inappropriately and they love it’, ‘only I can solve that problem for you’, ‘we need to torture people way more than we have in the past’, ‘I know how to fix that problem and I’m the world’s greatest negotiator and I have a big brain’, ‘you can’t trust brown people to act as judges because they aren’t like me’, ‘anything that disagrees with me comes from fake media’, ‘and ‘there is such a thing as alternative facts’, and so on. Every single one of those statements are true within the world view of at least one narcissist and helps him reaffirm his self centered egocentric world view and works for him in a ‘pragmatic’ framework, but does not comport to reality that exist outside of his mind. 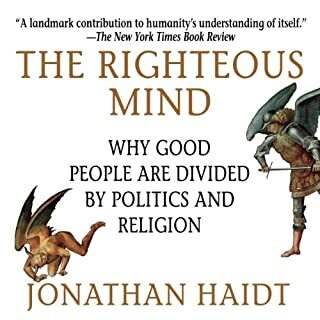 This book used the same approach for religion as I did for narcissism. Yes, it’s possible that world view can work for the narcissist and maybe even one day he can become president of the US, but that doesn’t mean they possess intuitive truths worth possessing or that their world view is a sane one or I should give special consideration for their world view because it works for them. In the end, the narcissist is not capable of seeing the other as a human being and therefore cannot see himself in relationship to others as a human and lacks the basic characteristic of being human. My imaginary book on narcissism would add nothing but anecdotal curiosities on an interesting topic and with testimonials from narcissists on how it works for them pragmatically, but the untold story is that narcissism belongs in the DSM V as a behavioral problem without an exception for belonging to a large group of other people having that same narcissistic belief. 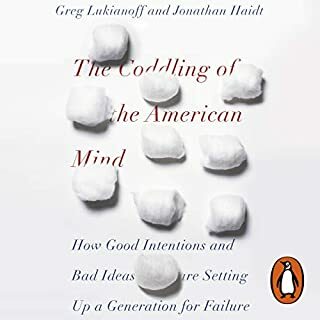 My overall point and distaste for this author’s book is that his methodology is flawed (and tedious), and one should not generalize anecdotal evidence outside of the framework under consideration and make conclusions based on people’s feelings as ones sole criterion. If I used the author’s methodology, I would conclude narcissism was a good thing, and it gives special insights into intuitive truths about the world and is defendable because it works for the narcissist who provided the testimonials. (The narcissist’s world view is skewed by their inability to have second order volitions and to be quite frank, I don’t want to be living such a lie even if it buys me that ‘pragmatic’ happiness but the price of not seeing the other as a human being is too high for me to pay). I found these lectures very mixed. Some sections were incredibly fascinating and well written while others felt very lacking. I almost stopped reading several times but then I would come upon a section I found compelling. The narrator has done a fairly good job, but the problems lie in the contents, a more than hundred years ago materials and English is not like today's American English , it makes the whole listening very strenuous. The contents need more time to digest and savour than normal speed can allow. Even ,for me, half the normal speed may not allow enough space to think deep. Audible.com has to figure out ways to improve the listen-ability of classic materials.